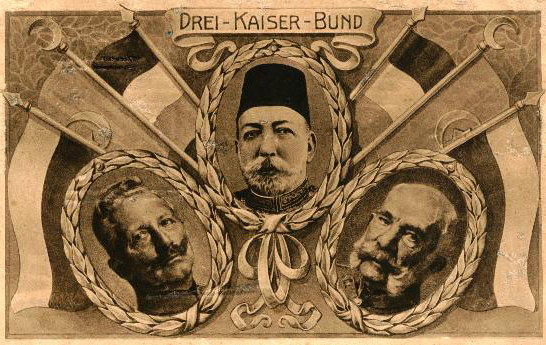 Wilhelm II, Mehmed V and Franz Joseph, emperors of the three Central Powers. Image in public domain. HMS Niger is torpedoed by a German submarine, while at anchor off Deal in the English Channel. The ship’s crew is evacuated in lifeboats, after which the Niger explodes. This entry was posted on November 11th, 2014.